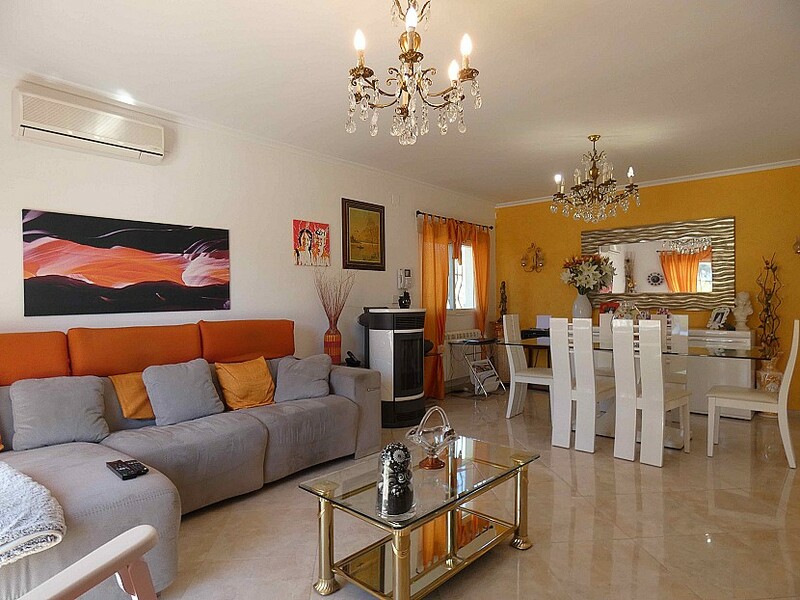 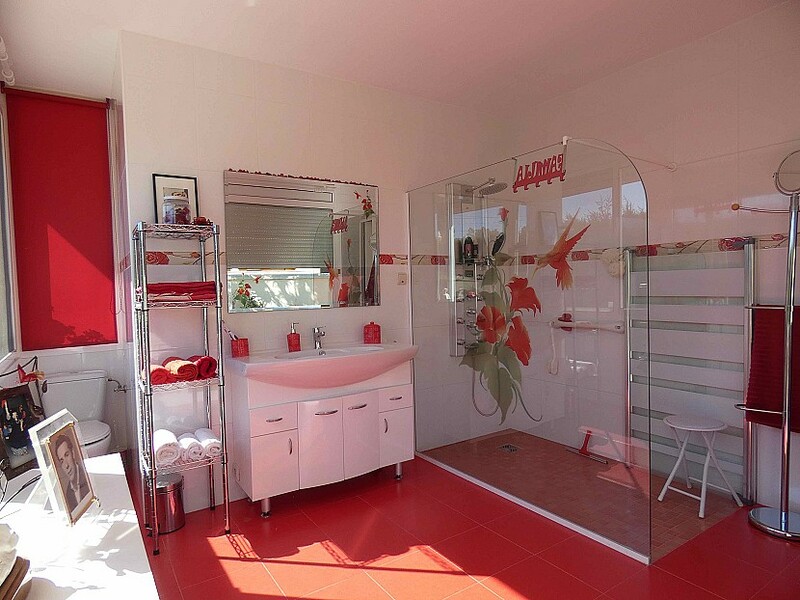 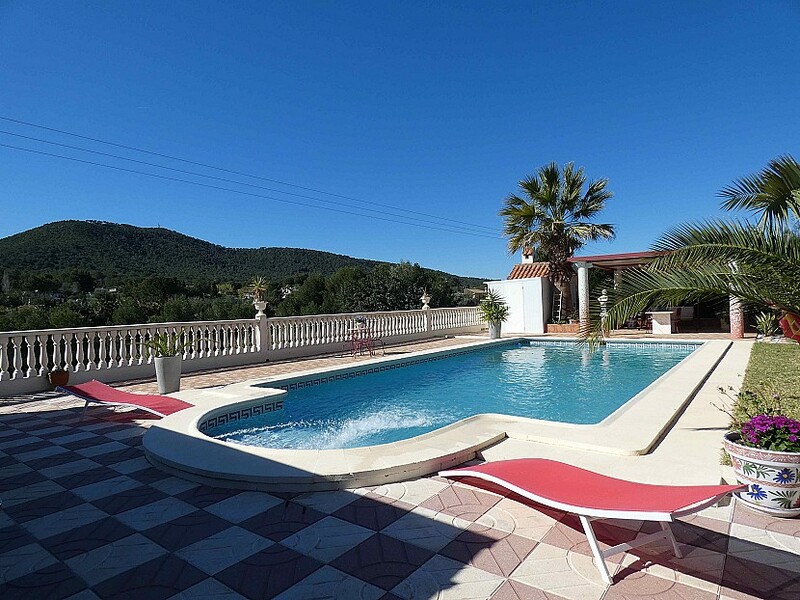 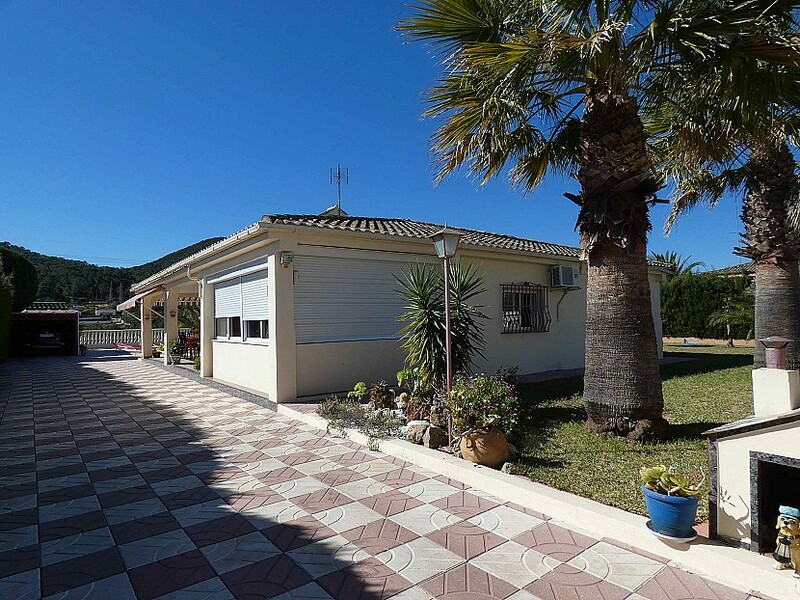 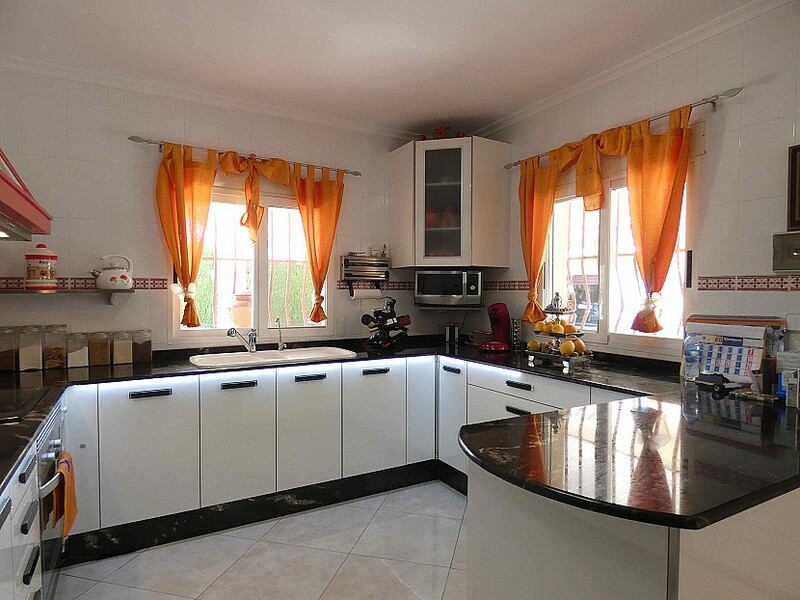 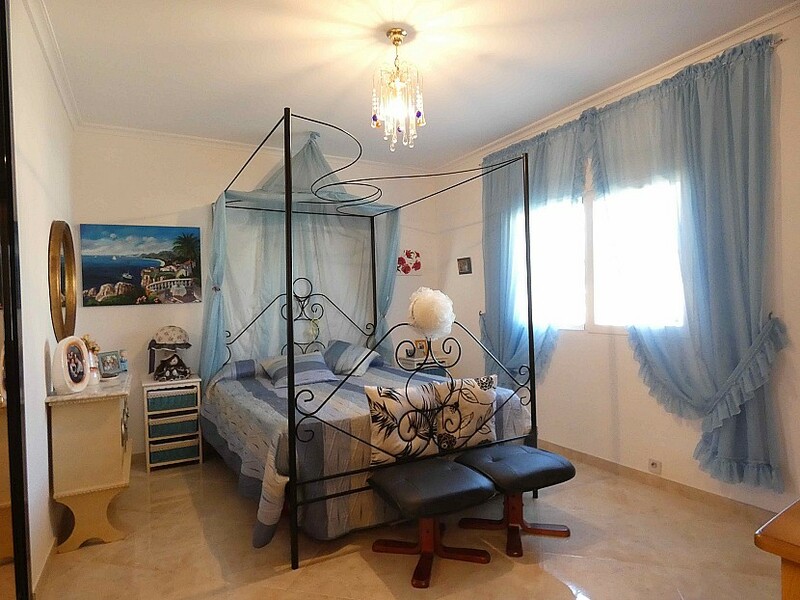 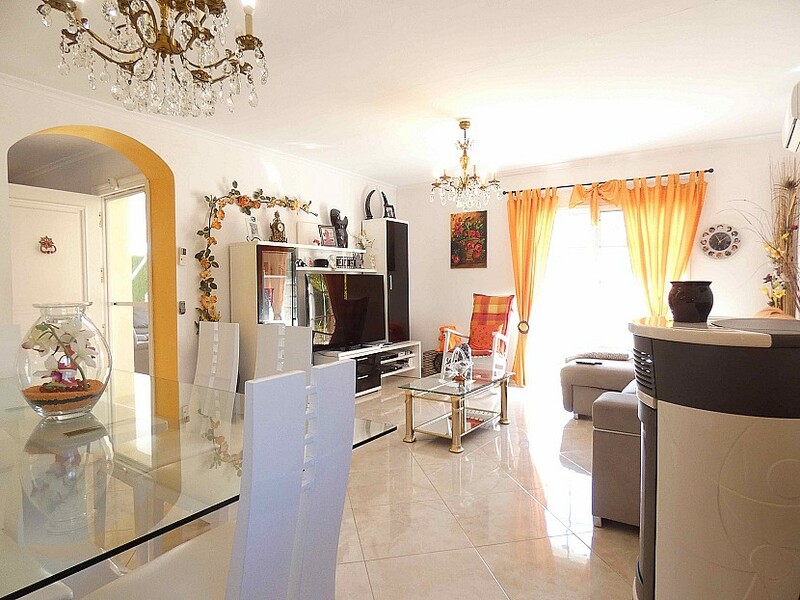 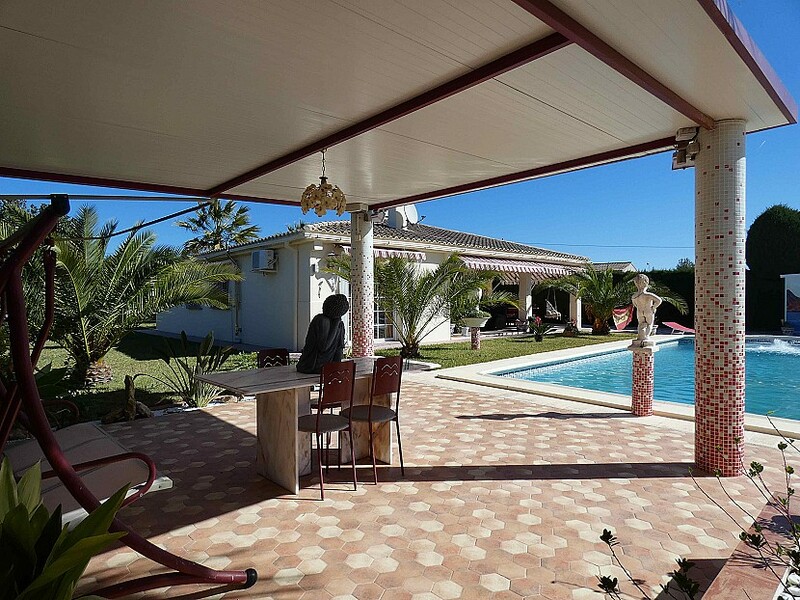 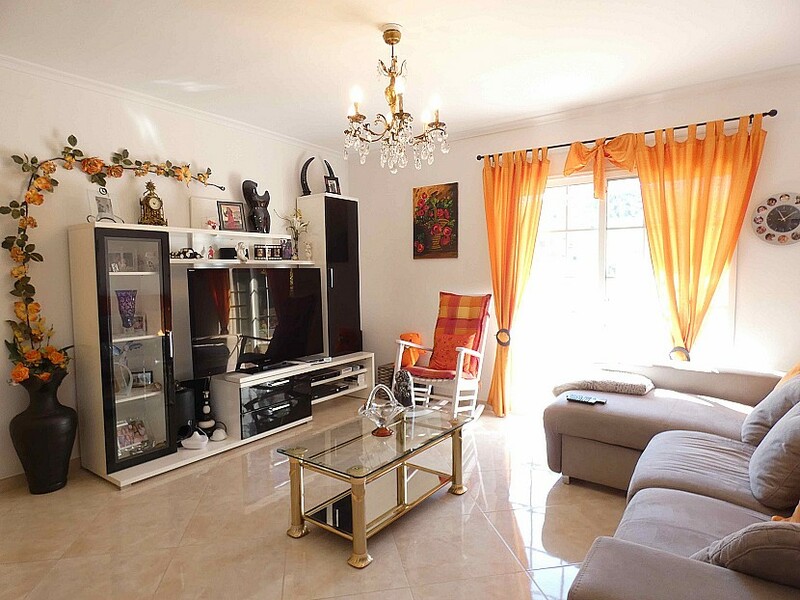 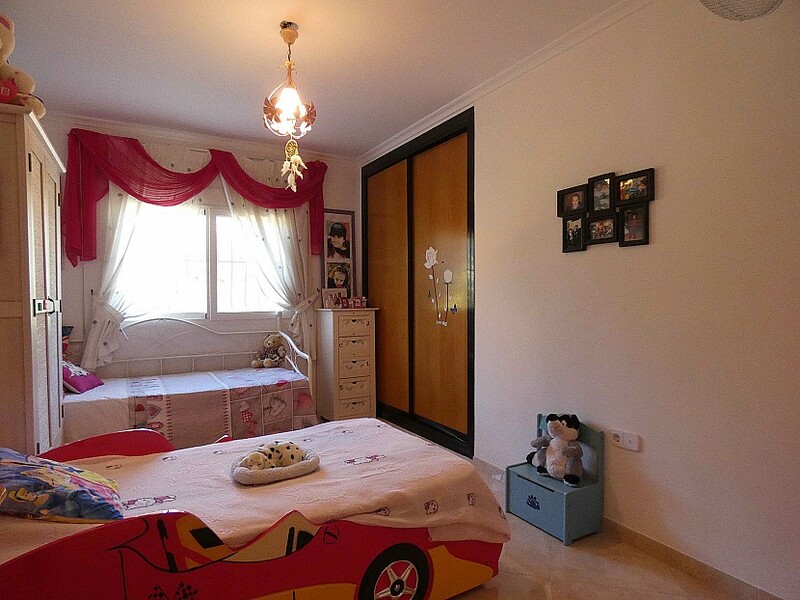 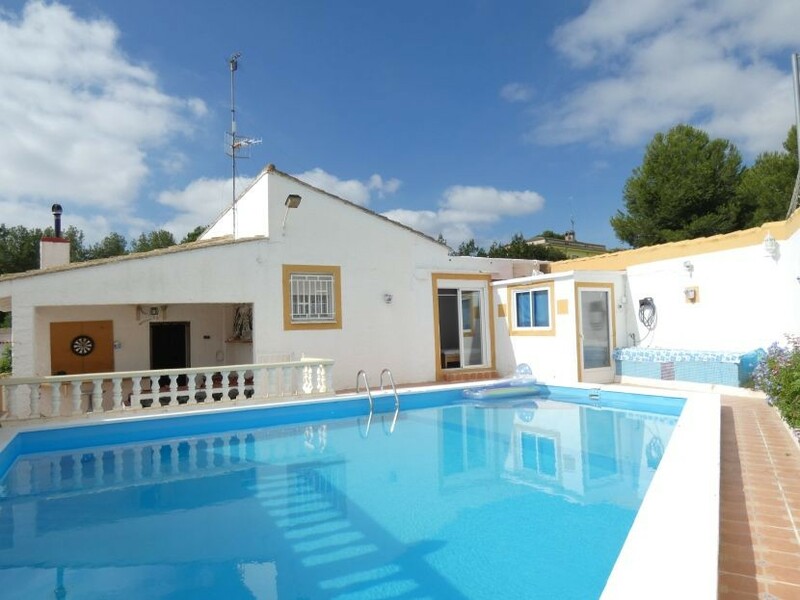 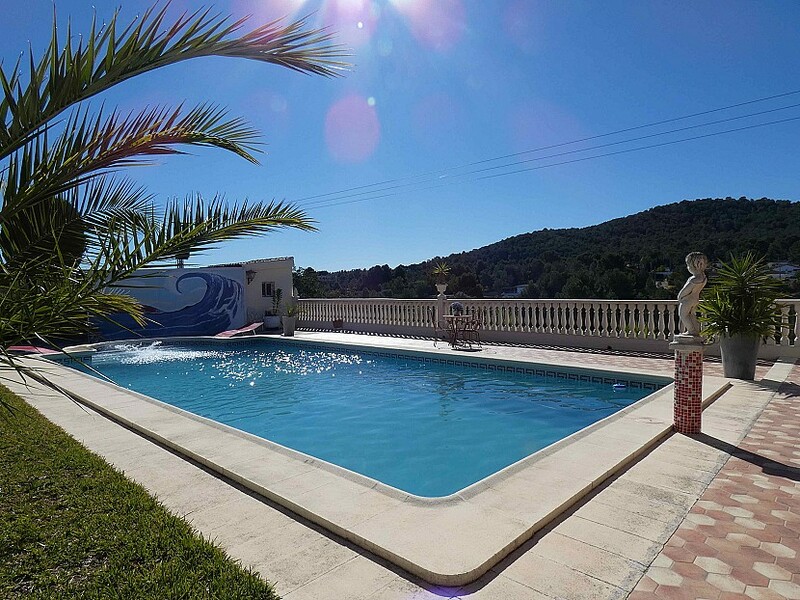 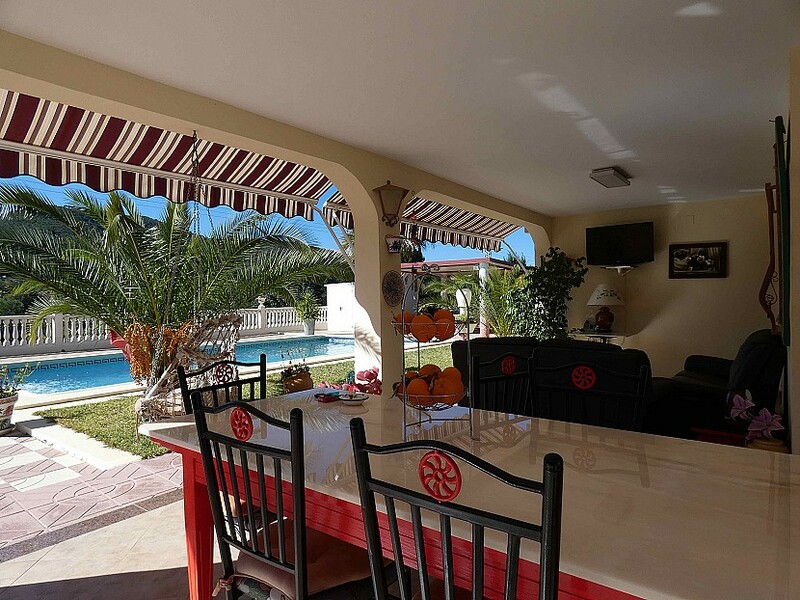 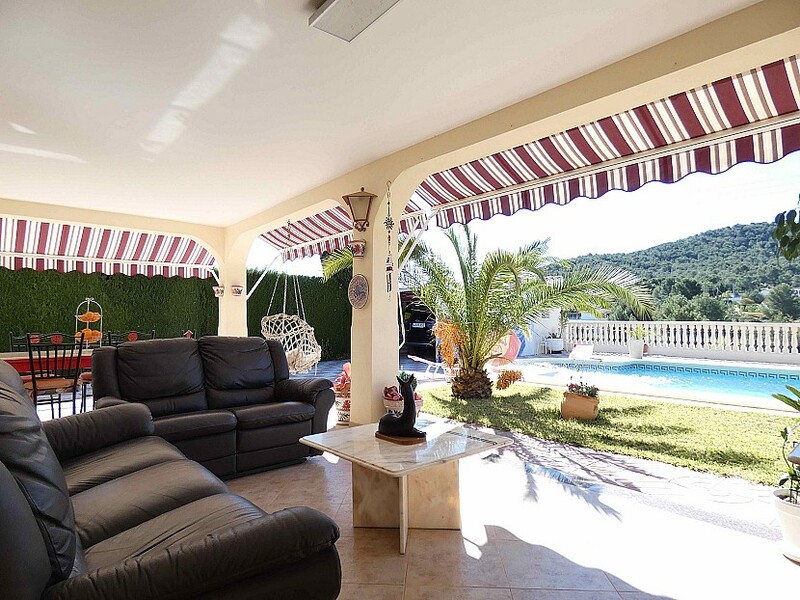 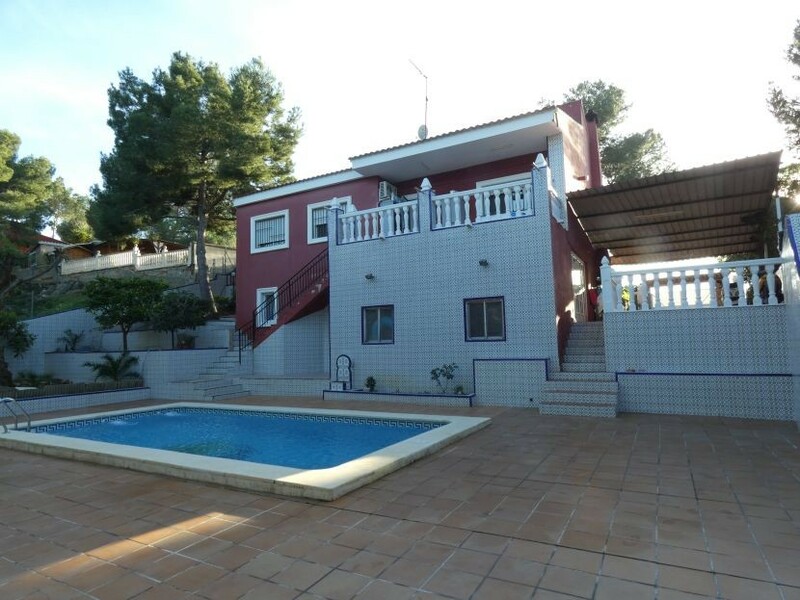 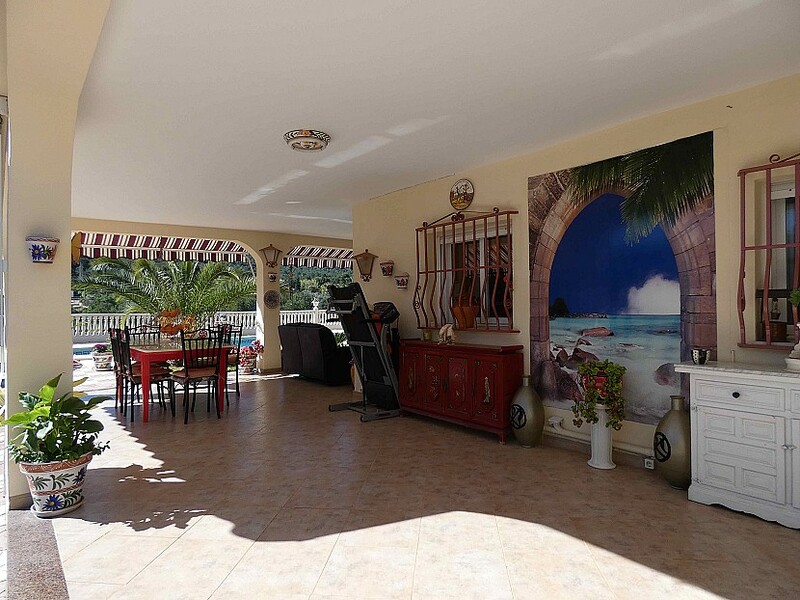 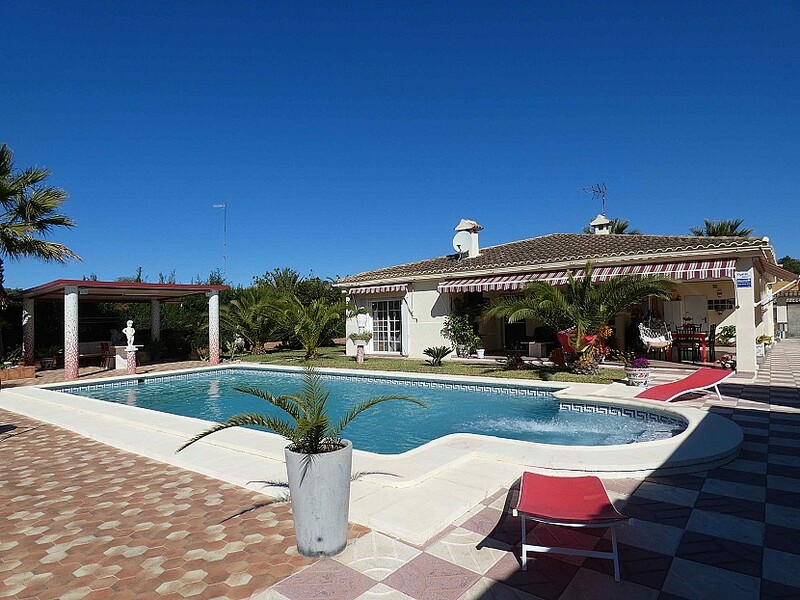 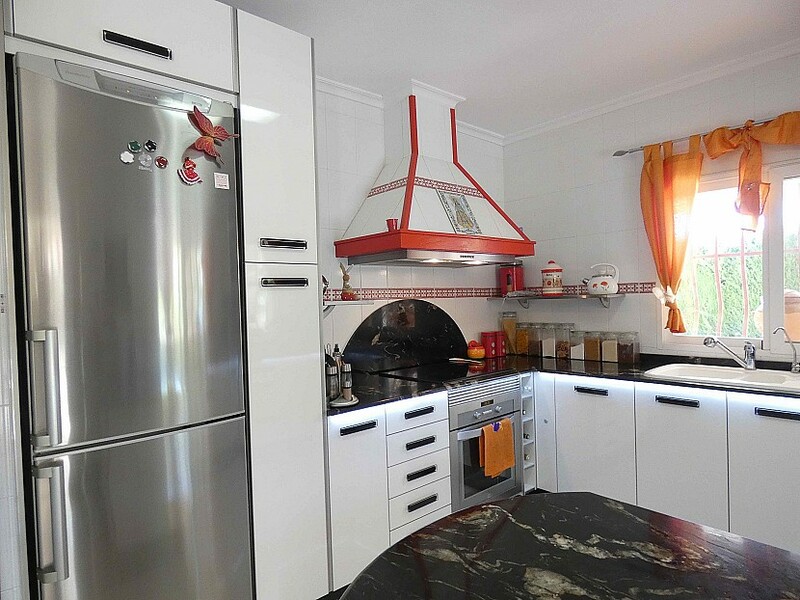 This charming 3 bedroom 2 bathroom villa with private pool is located in La Rodana urbanisation. 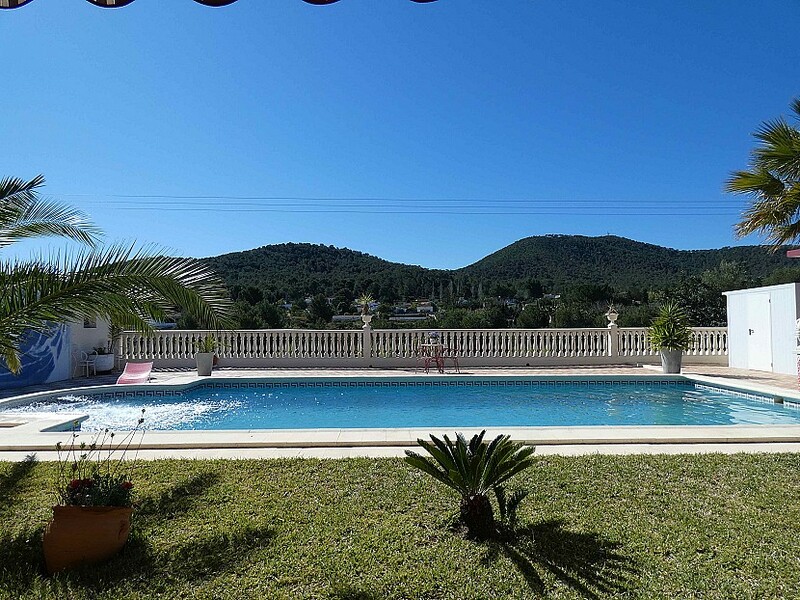 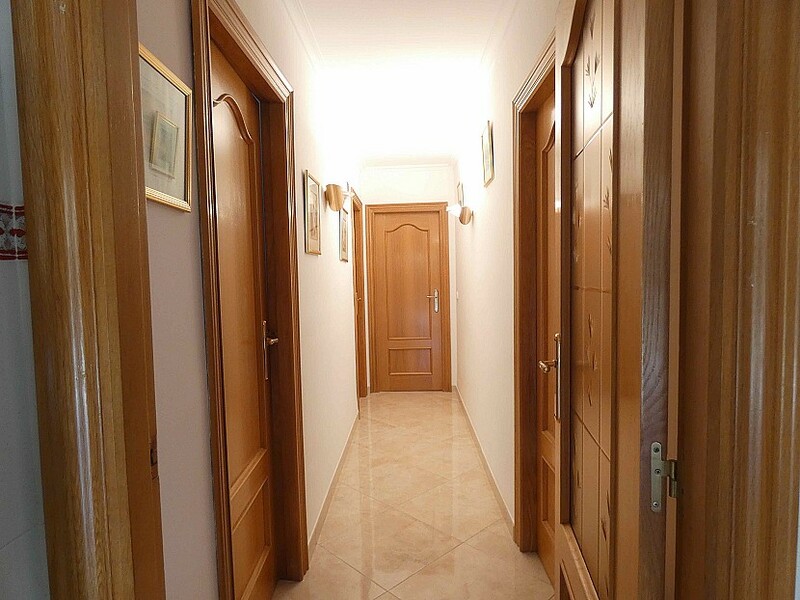 It is within a 5-minute drive from grocery stores, restaurants and many other amenities in Vilamarxant. 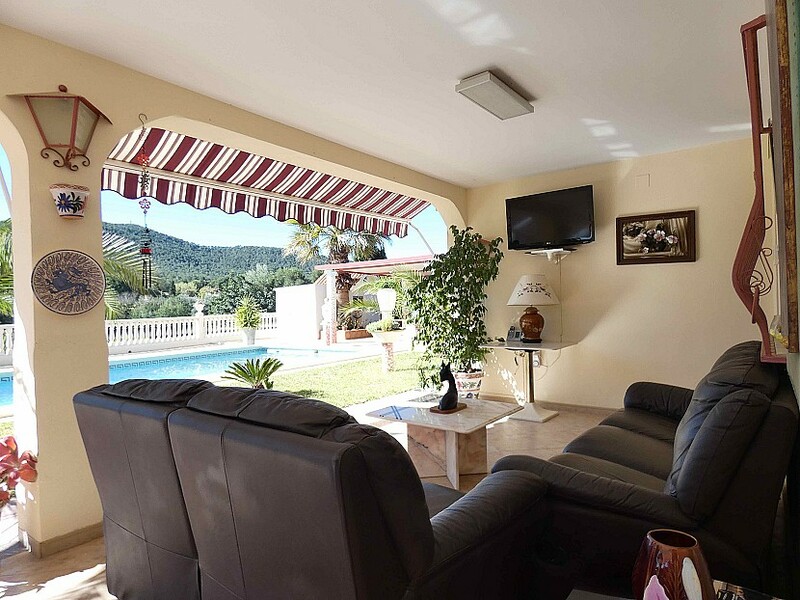 This villa is comprised of a living room, a fitted kitchen, 1 terrace with views to the pool and the valley, 2 big double bedrooms, a bathroom and the master bedroom with an en suite bathroom. 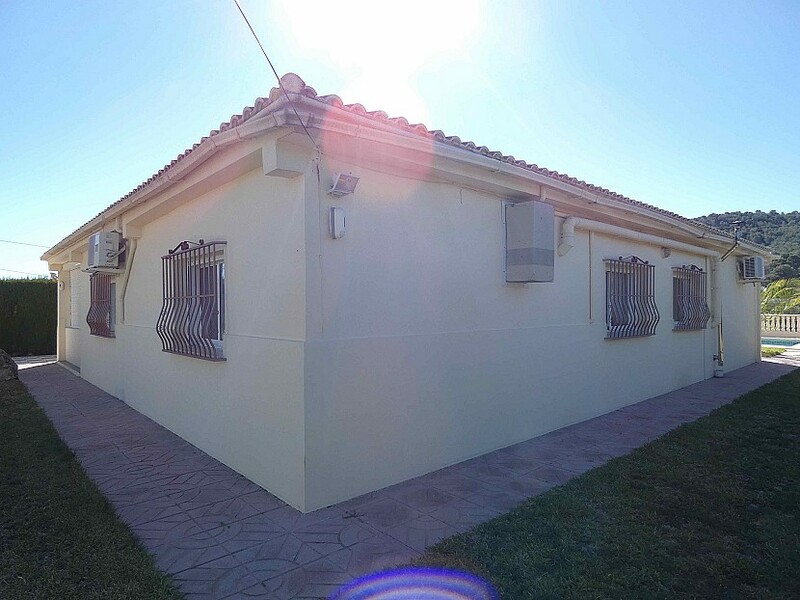 The house is equipped with double glazing windows, electric shutters, air conditioner units, built in wardrobes in all bedrooms, and a pellet heating system. 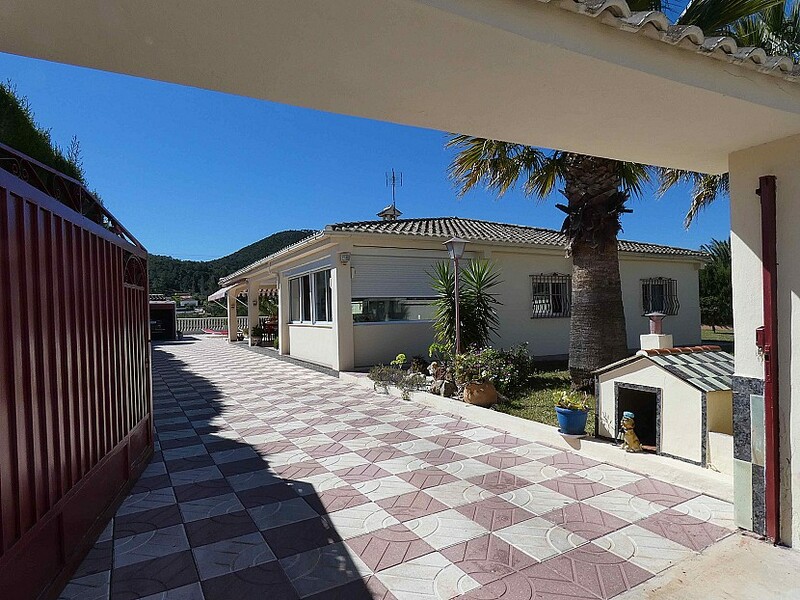 Outside we have a beautiful 1000m² plot planted with beautiful trees, a roofed garage, a summer kitchen which is next to a toilet and a storage room and a big swimming pool with a filtration kit.